Unlike in the States, Italy is very open in the display of partially butchered meat. It is not uncommon to see full legs, heads and other large body parts in local butcher shops and markets. After living on and off in Florence for two years, the brutal reality of the meat industry began to hit me and I became open to other eating alternatives. I had never considered what it would be like to be vegan until the day of my spontaneous switch. Not only did I become vegan overnight, but I became vegan in ITALY overnight. At first, I thought Italy and vegan were two words that were never associated with one another, but it didn’t take me long to realize I was wrong. People may not realize it, but there are actually a few vegan recipes in traditional Tuscan cooking. Pappa al pomodoro, minestrone, spaghetti al pomodoro and zuppa di fagioli are dishes you’ll find in any traditional Tuscan restaurant. Surprisingly, Florence is filled with both vegan friendly and vegan restaurants. Some vegan friendly restaurants, meaning there are a few vegan options, are Cafe Le Vespe (Via Ghibellina 76), il Vegetariano (Via delle Ruote, 30/R), Libreria Brac (Via dei Vagellai, 18), Konnubio (Via dei Conti, 8/R – has a vegan menu), Cuculia (Via dei Serragli, 3/R), 5 e Cinque (Piazza della Passera 1), Veg&Veg in the Mercato Centrale’s upstairs food court, Pasticceria Calamai (Via dell’Agnolo, 113/R – has vegan brioche!) and Gelateria dei Neri (Via dei Neri, 9/11 – amazing vegan flavors). Vegan restaurants include Crepapelle (Via Giampaolo Orsini, 55), Veggy Days (Via San Gallo 75/R), Dolce Vegan (Via San Gallo, 92/R), Panino Vegano (Via Maurizio Bufalini, 19/R), and the newly opened Universo Vegano (Via Pietrapiana 47). A few of my favorite options at some of these places are the Giotto vegan burger from Veg&Veg, Piatto Libanese from Cafe le Vespe and Vaniglia della Nonna from Gelateria dei Neri. When I’m not eating at restaurants, I am constantly experimenting with cooking in my apartment with the abundance of fresh produce that Florence has to offer. 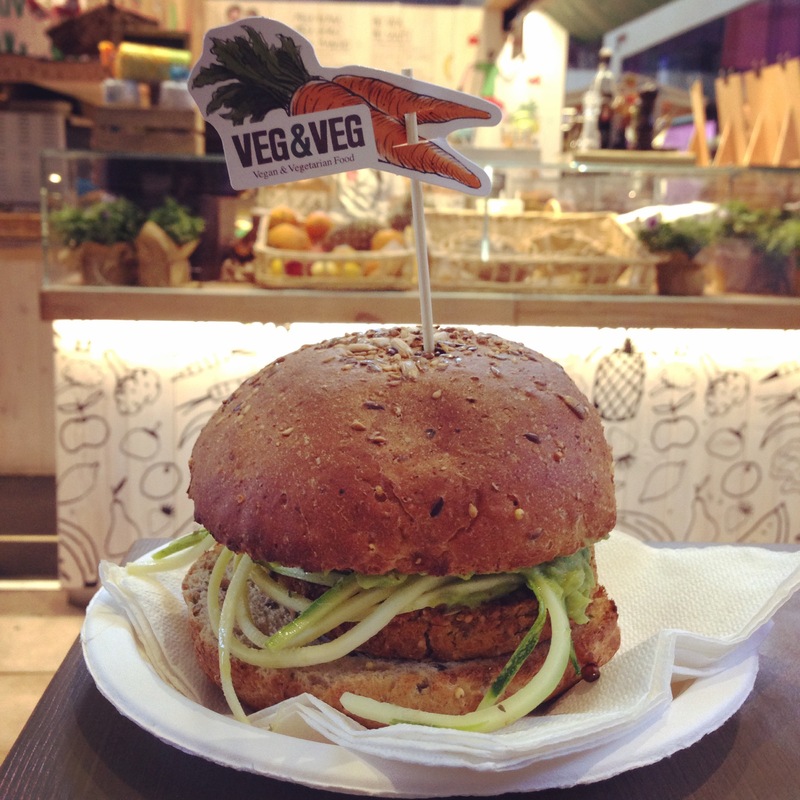 All in all, being vegan isn’t hard, and being vegan in Italy is no exception. In fact, in Florence it is pretty easy! Great to hear! I’m not vegan, but it’s always good to know there are healthy options out there when travelling.